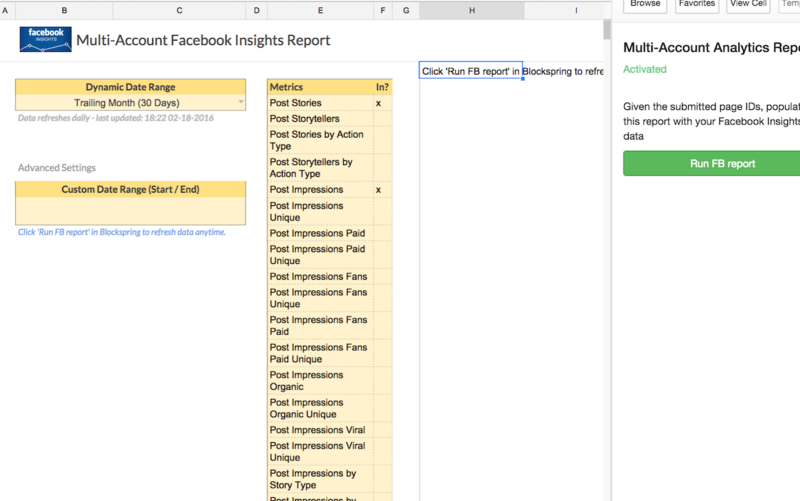 If you work with a lot of Facebook Insights pages, this template lets you query all of them in a single report. You'll be able to pull metrics by post given a date range. This template can be set refresh automatically every day to keep your report up-to-date. Facebook limits you to about 200 requests per hour. So depending on the number of pages you're requesting posts for, you may only get a subset of them.